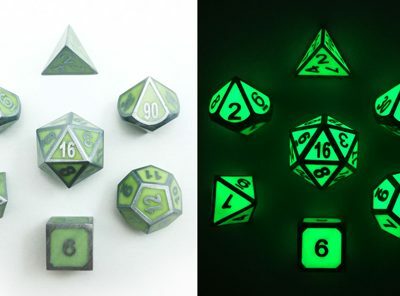 This set is for the RPG player who brings the surprise moments to the table. 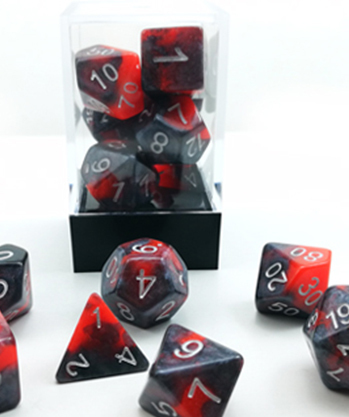 Beautiful black and red marbled RPG dice in the light. 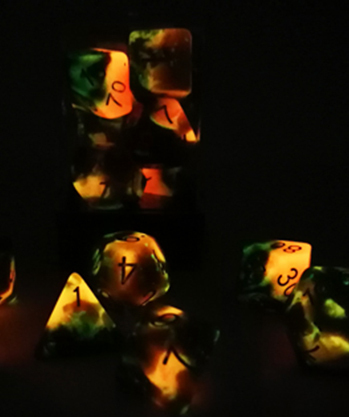 Then roll sneak attack by flipping off the lights and watch your dice glow! Advantage for a sneak attack! Please note: Due to the nature of shipping, we cannot guarantee any delivery times. For more information, please visit our FAQ’s page. 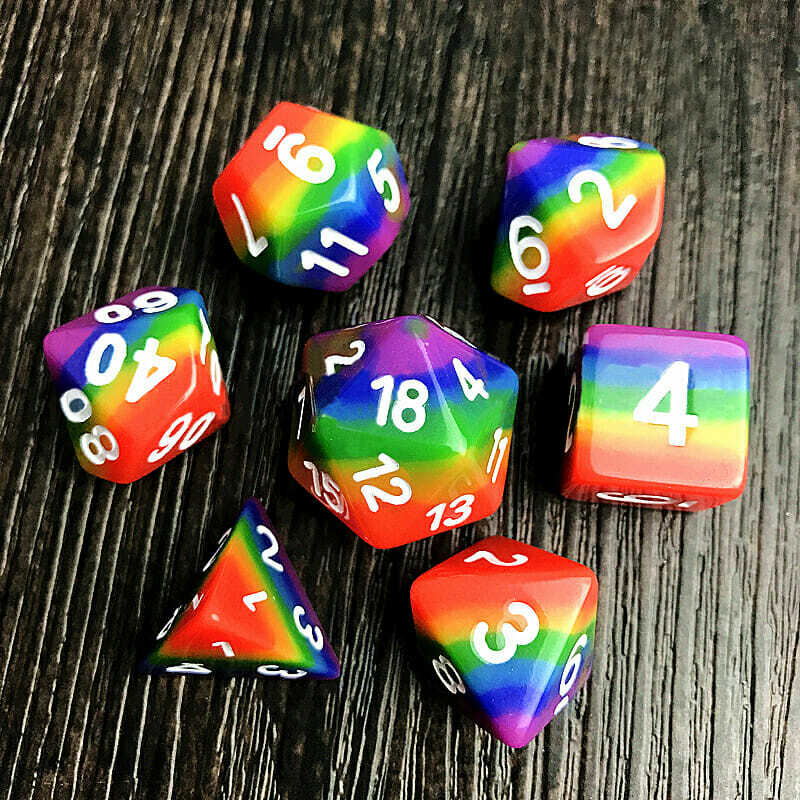 * Free shipping applies to most countries. 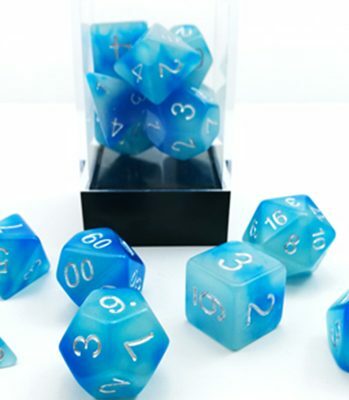 Due to the ever changing cost of shipping to some outlying countries, there may be an issue shipping to you. If there is an issue, you will be contacted directly before your order is processed. Designed by Retina Collective | All rights reserved | *Choking hazard warning.